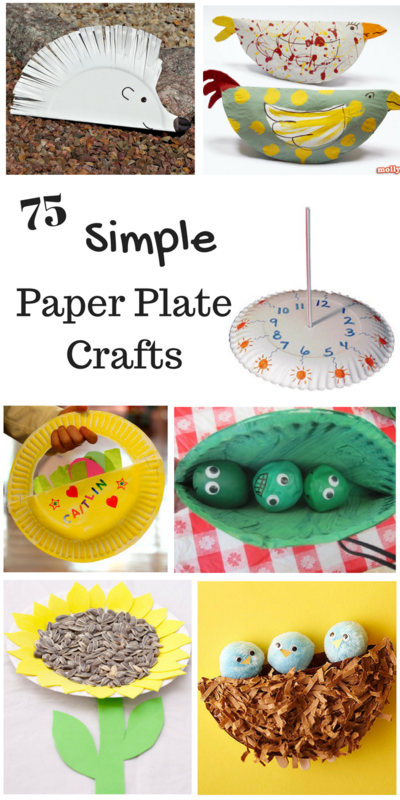 75 Simple Paper Plate Crafts for Every Occasion! 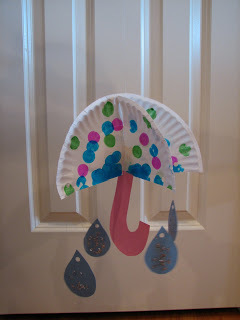 We love all things simple in this house, which might be why paper plate crafts are such a hit. No need for anything too fancy, complicated, or expensive for my kids to get creative with. We like things like paint, paper, glue, wool, tape, and paper plates. We really like paper plates. So much so that I challenged myself to find 75 paper plate crafts for kids to keep in my back pocket for a rainy day (or 75). If you are here, you must have or work with little ones, so you will LOVE my new book! 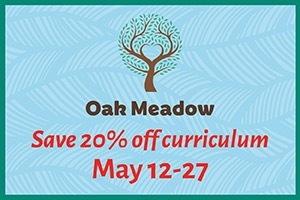 Learn all about the magic of Quiet Time and transform your days into peaceful bliss! 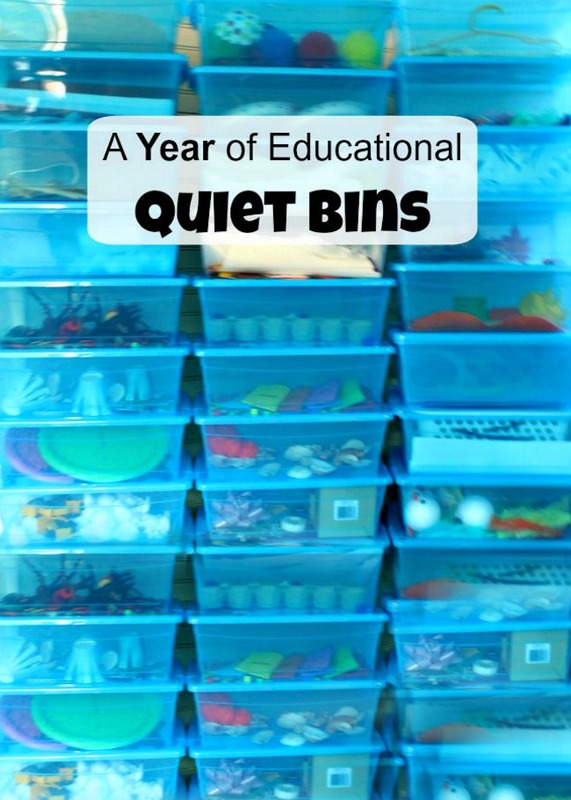 With over 2000 copies sold, A Year of Educational Quiet Bins is a must for Moms and Preschool Teachers. 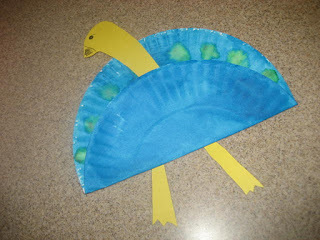 Dinosaur Bobbling Hats – these paper plate hats were so fun to make, and even more fun for my kids to wear! Hats for ANY occasion! by Alphamom. This post is amazing!!!! 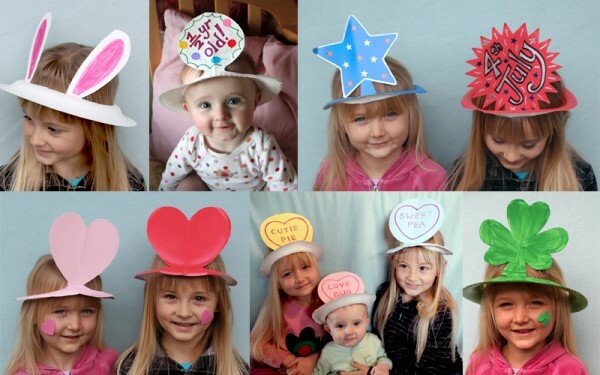 This Mama shows you how to turn a paper plate into a hat for any occasion – I can tell you my little ones will be very happy I stumbled upon this post! Easter Bonnet by Mama Jenn. 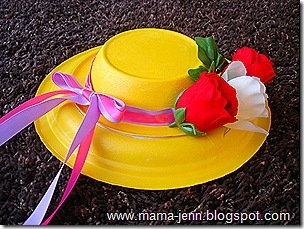 This would also make such a sweet hat for dress up play! 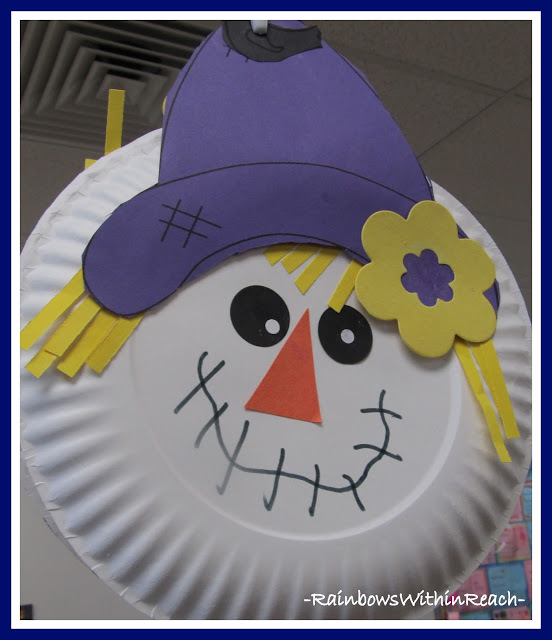 Nothing beats paper plate crafts that can be re-used in play! 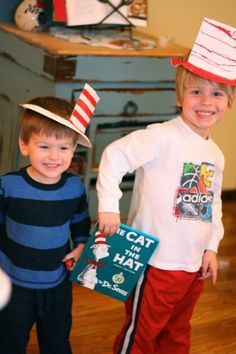 The Cat in the Hat Hat by I Can Teach My Child. These are so sweet! Made from only one paper plate. We are going to be making these ones too! Clowns by CraftyVille Squidoo. 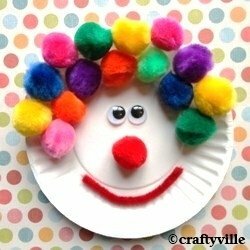 This paper plate activity with pom poms would be great for practicing colors, counting, or patterns. Pirates by Terrific 2s. 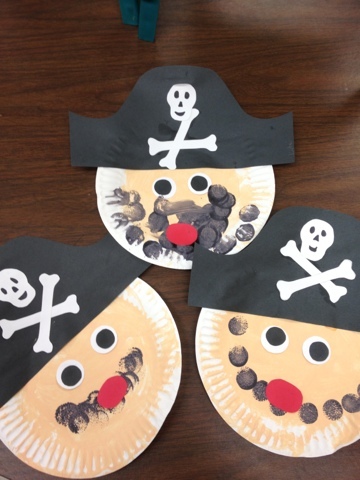 Arrrn’t these paper plate pirates adorable?! 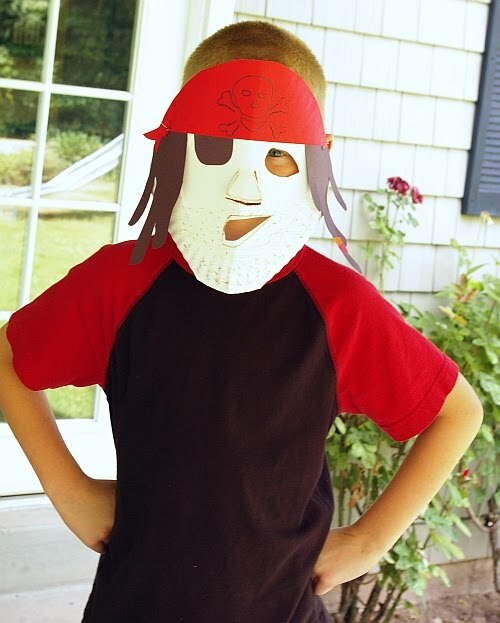 What a great craft for any preschool pirate theme! Jack-o-lantern Garland by PinLaVie. 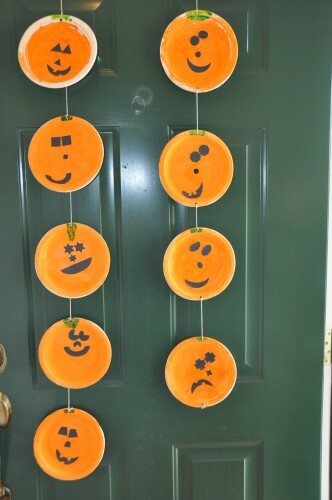 This paper plates craft would look great on a kids bedroom door for Halloween! 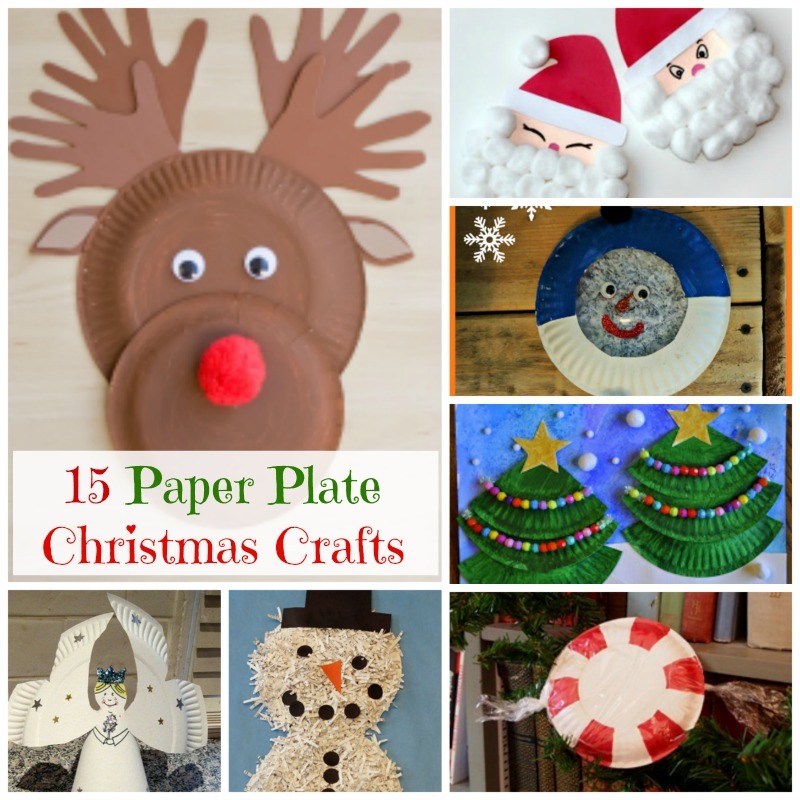 15 Easy Paper Plate Christmas Crafts. 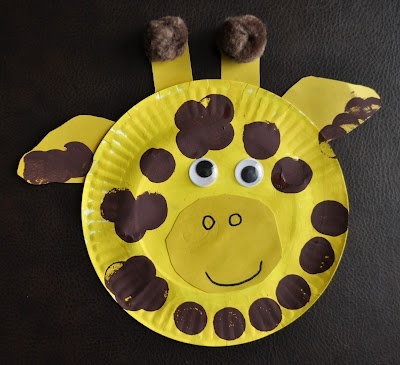 This one is my only cheat on the list – I compiled this list of 15 paper plate crafts over Christmas, so I am counting it as 15 🙂 These paper plate crafts are easy enough for kids to make all on their own – and turn out super cute too! Easter Basket by Toddler Approved. Love this simple idea! It could be easily adapted for so many things! Ghosts by Momma’s Fun World. 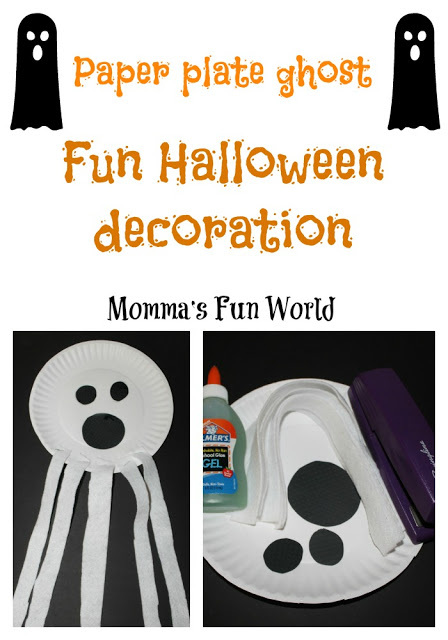 Ghosts are perfect easy paper plate crafts for kids. 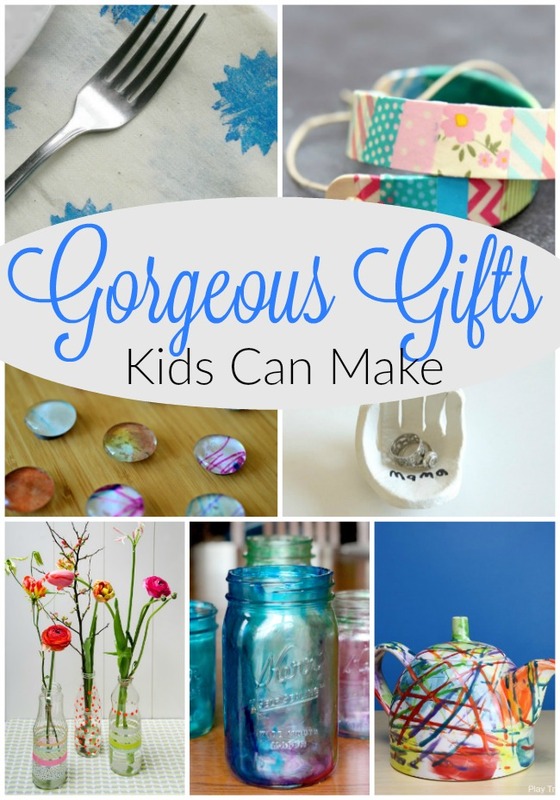 This is an ideal craft for little ones! Groundhogs by i Heart crafty things. 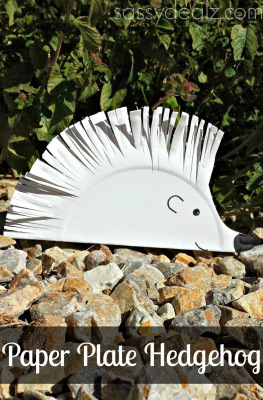 I simply adore these paper plate animals … look at the teeth! Elephant by Activity Village. 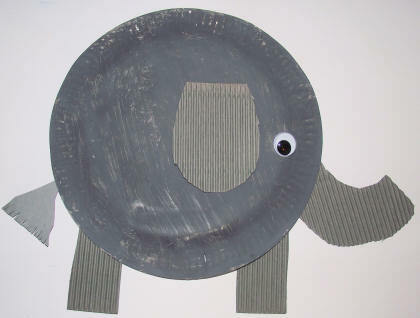 This elephant craft is fantastic for learning about texture too! Seagulls by Local Fun for Kids. 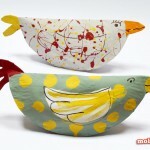 These cute seagulls would look great in a preschool classroom during a Beach theme!! Cats by Creativity Takes Flight. 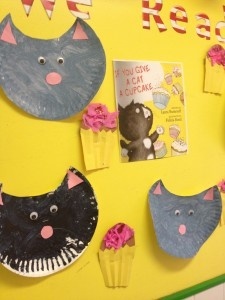 These easy paper plate crafts were done as an extension to a book. These little cats are just adorable! Such a creative idea from Creativity Takes Flight! Birdies by The Nest. These little plump birds are so sweet. 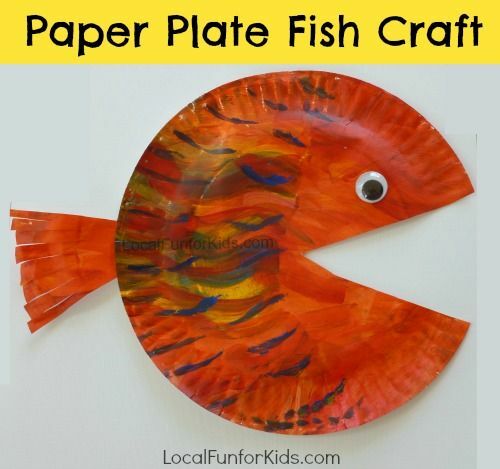 They would really be a paper plate craft to brighten up a home during those grey winter months. Hedgehog by Michelle at Sassy Deals. 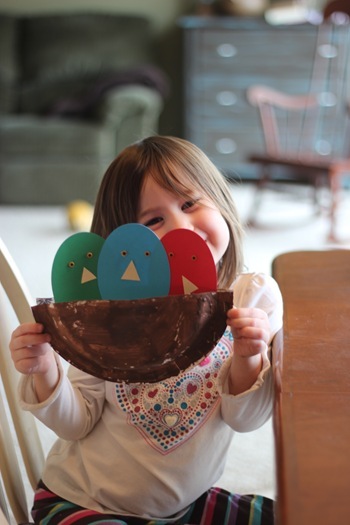 Hmmm … kids crafts with paper plates don’t get much cuter than this one. 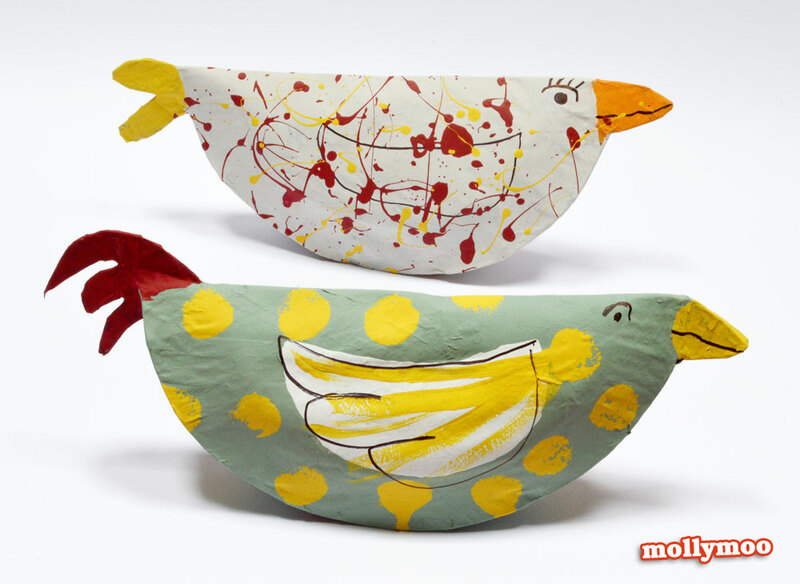 Chickens by Molly Moo. I love when “Mommy has a turn” and adds sneakers to her chicken. 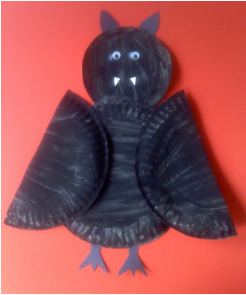 Bats by My Preschool Crafts. This is such a unique use of folded paper plates for these cute bats. What a great activity for Fall! 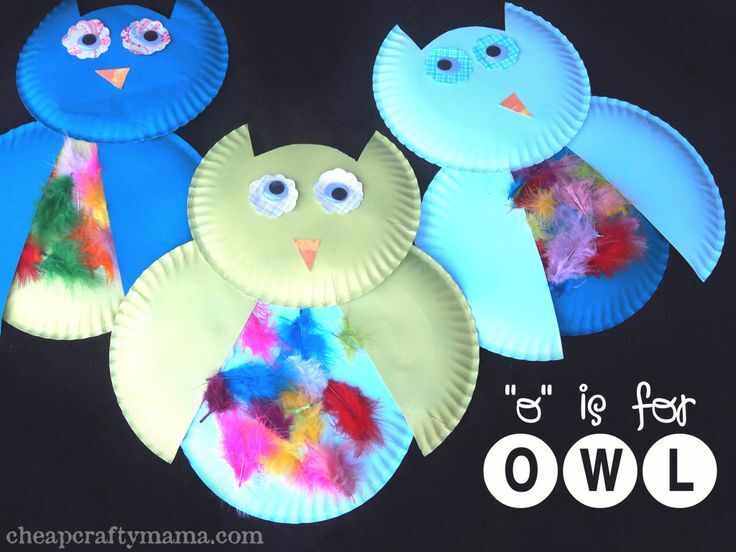 Owls by Cheap, Crafty Mama. 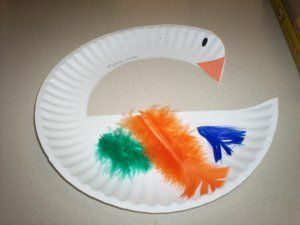 Gluing feathers to the paper plates make it a great sensory activity as well. Peacock by JDaniel4sMom. This peacock was made as an extension to a story – such a great idea! Cows by Squidoo. 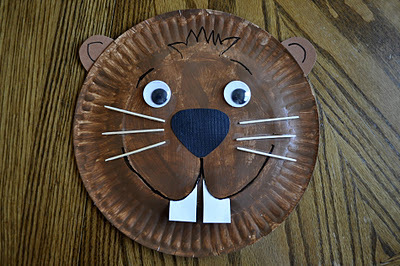 This is another paper plate craft that could be used in a million different ways! Snakes by Click a Craft. 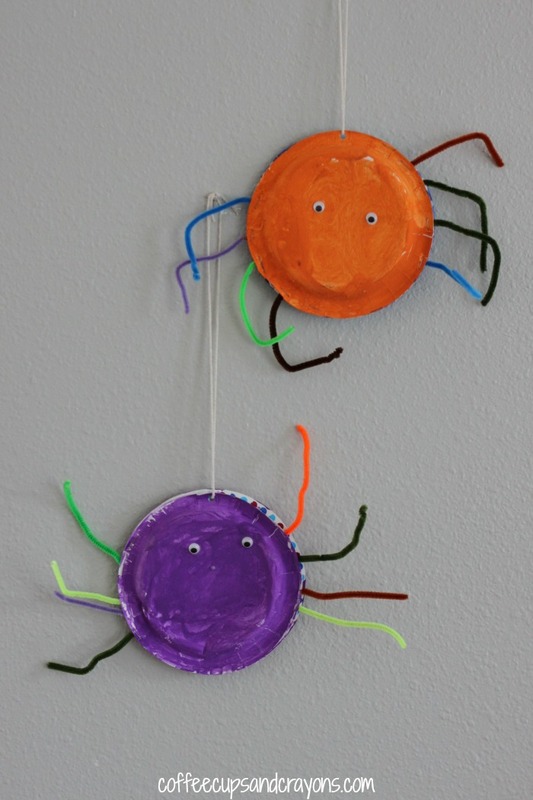 My little guys would have a great time with this craft! And it is great for developing cutting skills with scissors in preschoolers too. Fish by Local Fun for Kids. 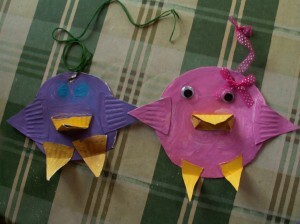 I think these fish paper plate crafts would make a great bulletin board in a preschool or classroom. Birds in a Nest by Refined Metals Academy. These little birdies look so sweet in their paper plate nest! Birds in a Nest by Parents. 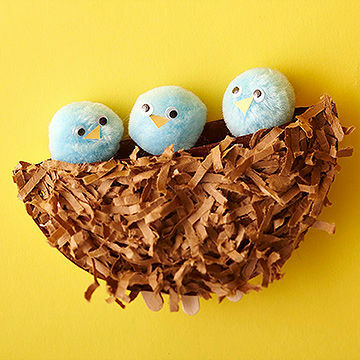 These versions of birds in a nest as paper plate crafts are for a little bit older children. I love the little pom pom birds! Oyster by Crafty Crafted. 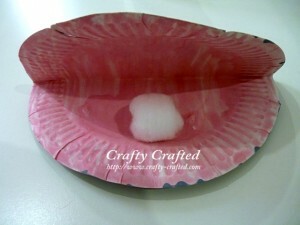 Love the cotton ball as the pearl for these kids crafts with paper plates. Swan by Sylvan Lake Library Kids. 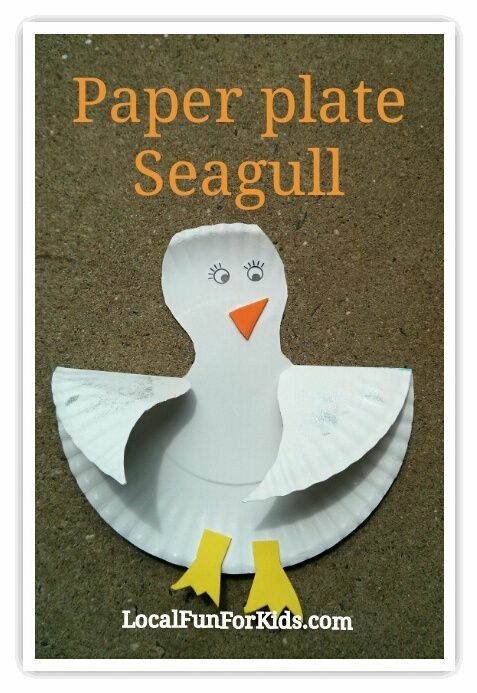 This paper plate craft could be used in so many different ways! I love the swan, and with a few little tweaks it could be a basket too! 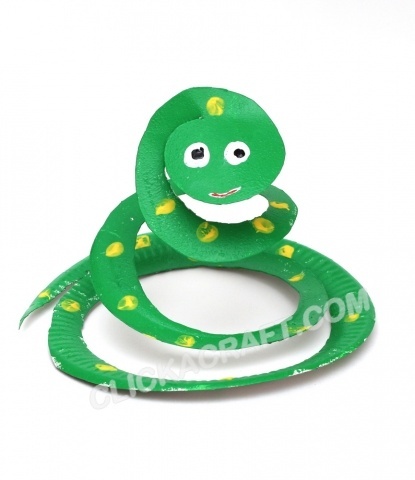 Frog by Preschool Crafts for Kids. 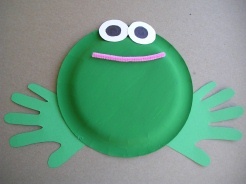 These would be great paper plate crafts for preschoolers learning about tadpoles and frogs! Dragon by DLTK Holidays. 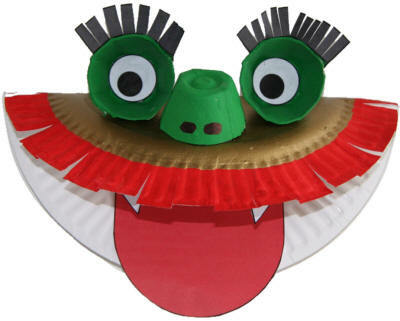 These dragon paper plate crafts for kids would be great for Chinese New Year Celebrations! Aquarium by Xwrapaidiwn. This post is not in English, but the pictures are quite explanatory. 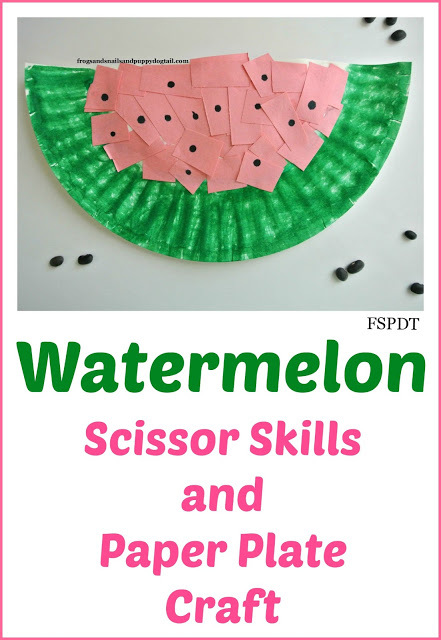 What a sweet and simple paper plate craft for kids! 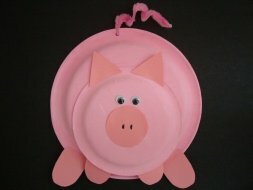 Pig by Busy Bee Crafts. 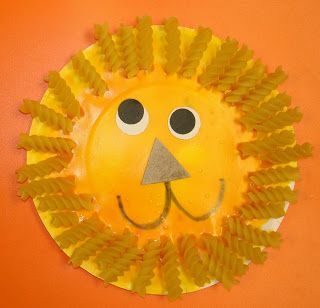 This craft for kids would be excellent for following directions — and learning shapes too! Turtle by No Time for Flashcards. 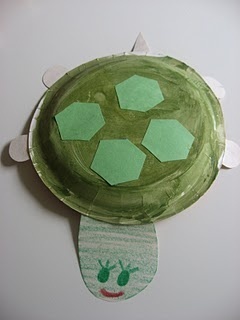 The learning that could go along with this paper plate craft is wonderful! Shapes, sizes, sorting, counting – anything! Dinosaur by i Heart Crafty Things. I love these sweet T-rexes – perfect kids crafts with paper plates! Giraffe by i Heart Crafty Things. 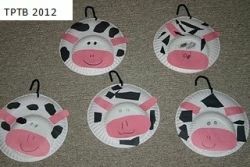 I think these little paper plate giraffe heads are so sweet. I may put them in our playroom with long necks and use them as growth charts for my little ones! Ladybugs by No Time for Flashcards. I love how this craft can be full of learning too!! Symmetry, numbers, even matching upper and lowercase letters! Spiders by Coffee Cups and Crayons. 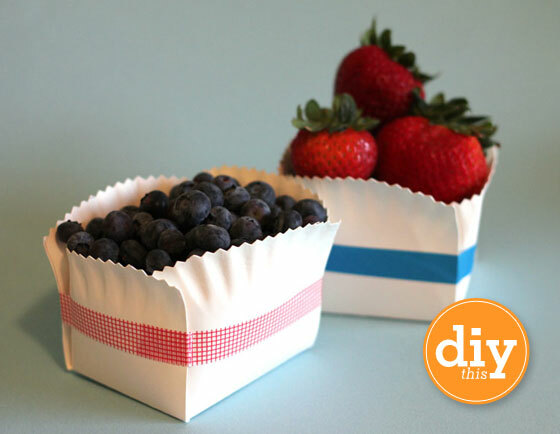 These are sweet and easy paper plate crafts! I am not a fan of spiders – but even I think these are darling. 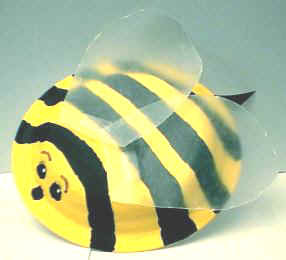 Bees by Preschool Crafts for Kids. Love the learning that can come from this plate craft! Patterning is a great skill for preschoolers to practice. Thanksgiving Pies by Mom Trusted. 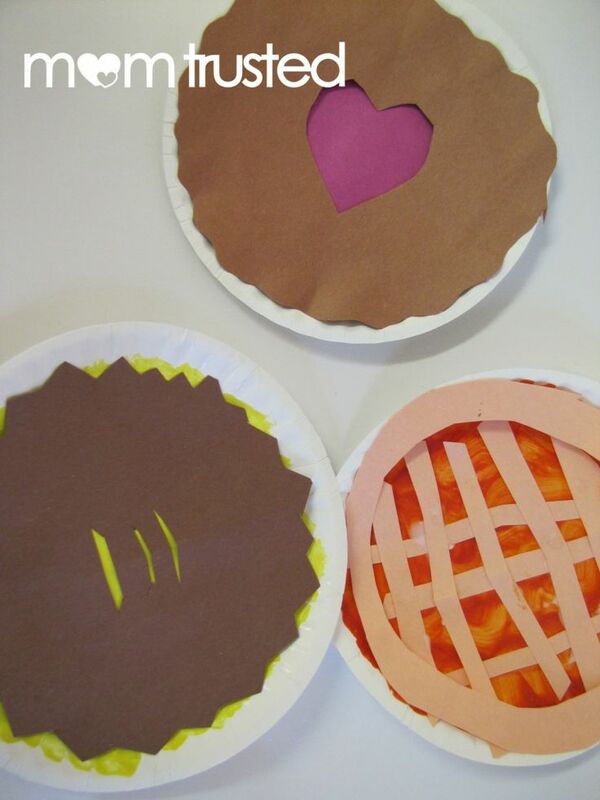 These sweet pies paper plate crafts would be great for any time of year! 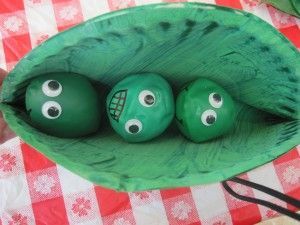 Peas in a Pod by Teach Preschool. Absolutely adorable. This would be lovely to send home after the first week of preschool with names of friends attached to the peas. Lots of Fruity Fruit by All Free Kids Crafts. 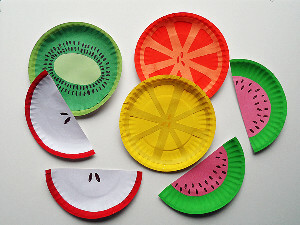 These colourful fruits would be great paper plate crafts for kids in the summer, or to brighten up a grey winter day. Watermelon by Frogs and Snails and Puppy Dog Tails. 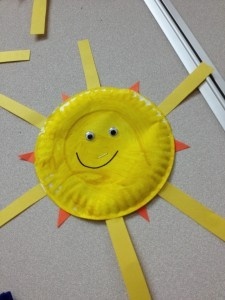 I love how this paper plate craft is so full of learning! 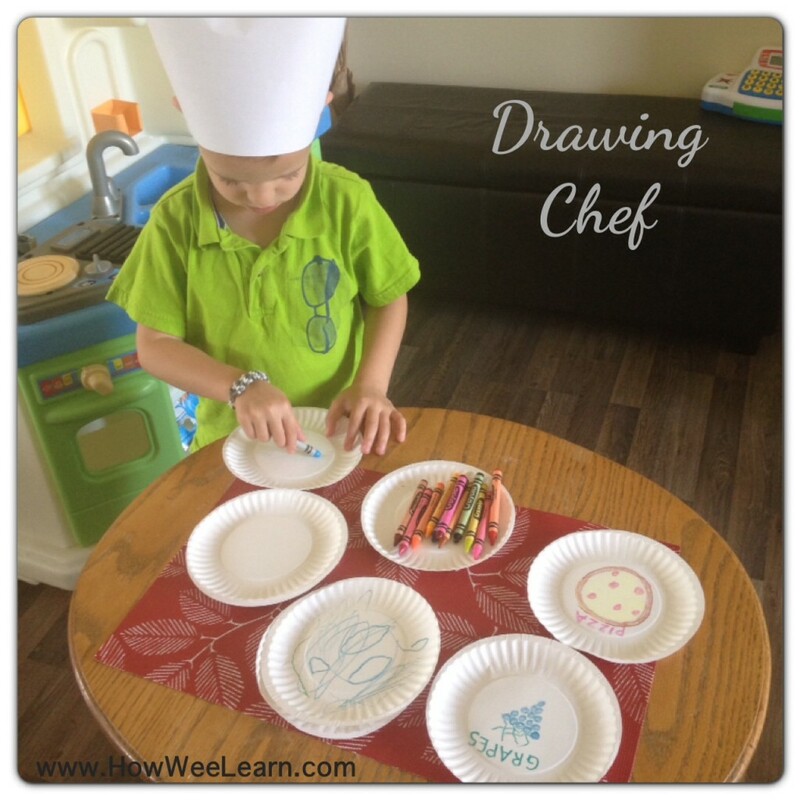 The Drawing Chef – this fun make believe play inspires so much creativity in little ones – all you need is paper plates and crayons! 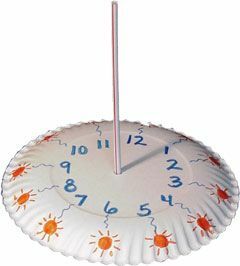 Sun Dial by Preschool Crafts for Kids. This paper plate activity really peaked my interest! It looks as though it would be so cool – we will be giving this a try this summer! Clocks by Mum in the Madhouse. 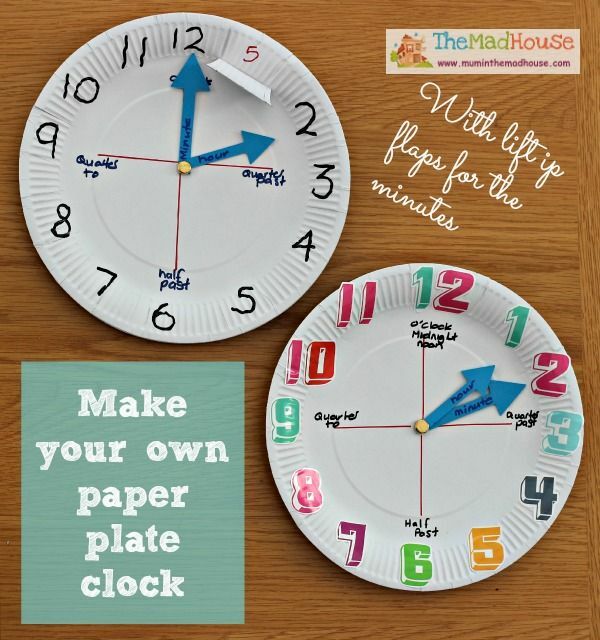 This paper plate craft is fantastic for helping kids learn to tell time. I think the idea of the lift up tabs to tell the minutes is brilliant! 3D Umbrella Mobile by The Ramblings of a Crazy Woman. 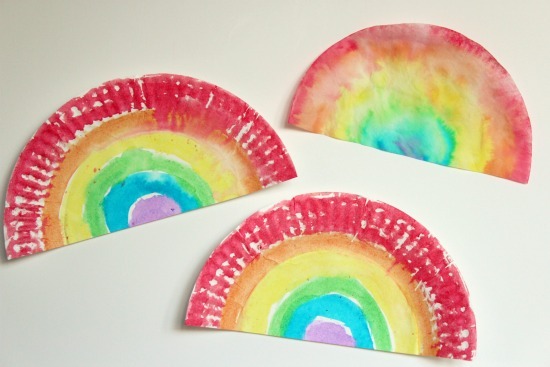 Kids crafts with paper plates can look so great! This one is proof of that! 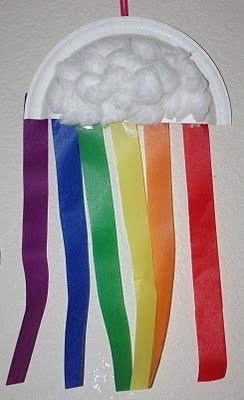 Rainbows from Clouds by Happiness is Homemade. This would be a great activity when introducing preschoolers to colours, the spectrum, or weather! 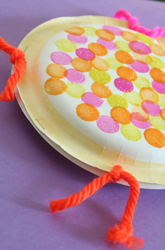 Grab a paper plate, some cotton balls, multicolored ribbon, and you’re set! Sunshine by Creativity takes Flight. This would be great practice of shapes for preschoolers! Rainbows by Make and Takes. 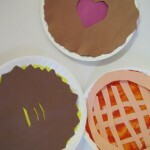 I love the different options Make and Takes suggests with these paper plate crafts for kids! Wind Spinners by Education.com. These wind spinners are great! So much fun to make, and full of learning as well! Tambourine by Education.com. Such a simple way to create music and fun! 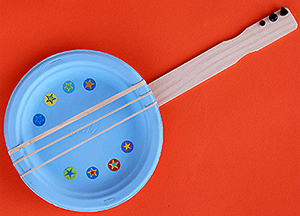 Banjo by Crafts for Kids Blog. 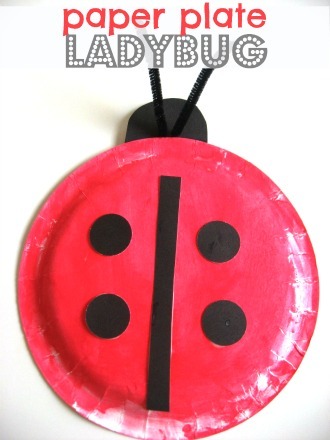 This paper plate craft is one that we will be doing just as soon as we get some big elastics!!! Other Cute Paper Plate Things! Sunflowers by She Knows Parenting. 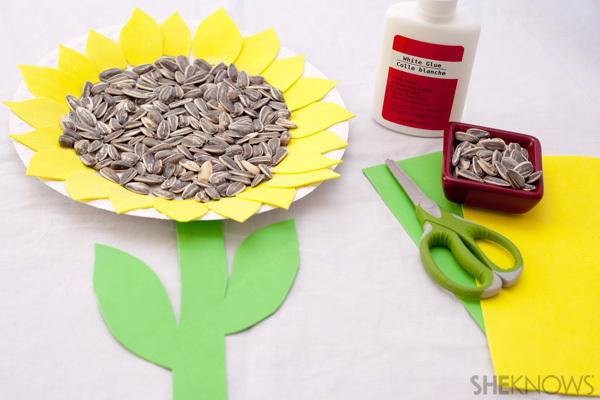 Using real sunflower seeds – such a great learning extension. And great sensory play too! Baskets by Sarah Hearts. So the kids may need a little bit of help with these … but I had to include them! People Masks by Brassy Apples. 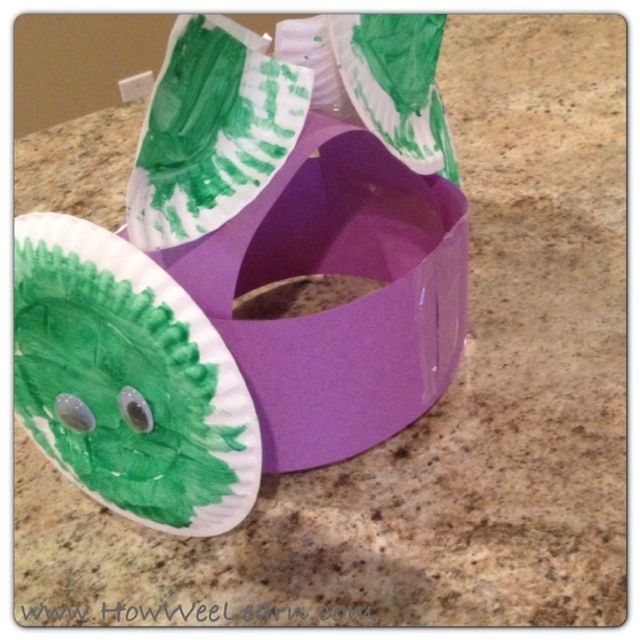 Such great ideas for paper plate masks with this post! I can only imagine the creative play my little ones would have with this! Animal Masks by Naturally Educational. 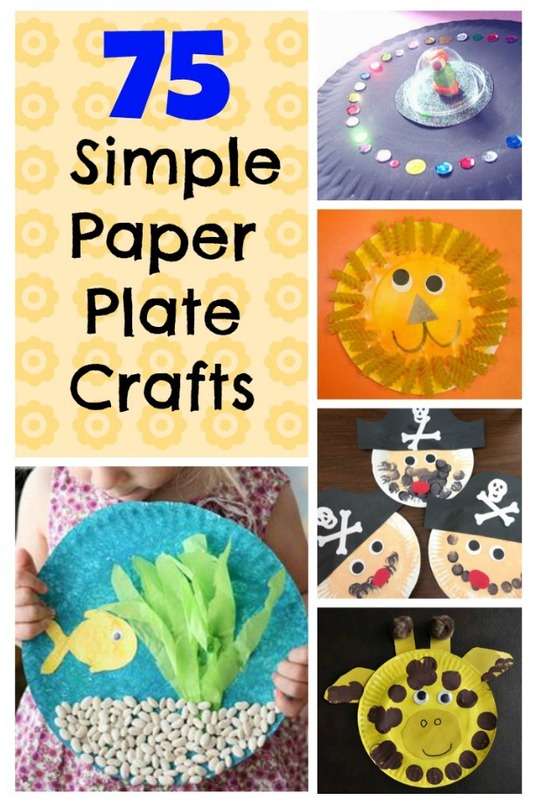 These easy paper plate crafts are great for pretend and creative play. The author at Naturally Educational used them in another way as well! Scarecrows by Rainbows within Reach. These would be such a cute extension to a book or for a Fall Harvest celebration! 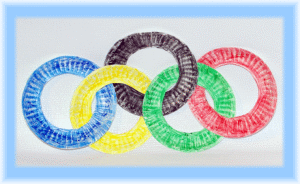 Olympic Rings by Preschool Crafts for Kids. 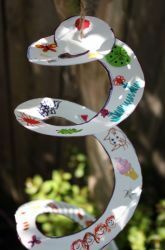 Love the idea of using the outside of the paper plate, coloring, and linking together like this! 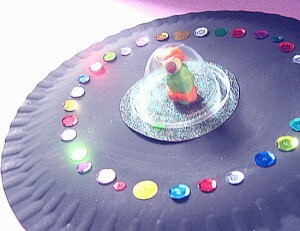 Flying Saucer by Raising Sparks. 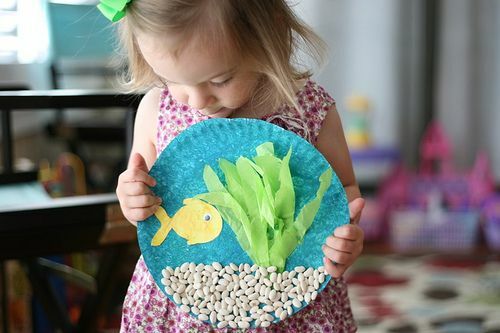 This paper plate craft is so so creative! What a great craft for a birthday party with a space theme! The gemstones add the perfect touch. There you have it – 75 paper plate crafts for just about every situation imaginable! I hope they have provided you with a bit of inspiration to get creative with simple things. Keeping things simple – the way to make kiddos creative and keep a Mama sane too. 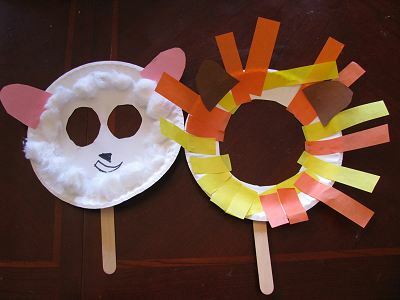 Thanks so much for linking to our chicken tutorial 🙂 What a great round up of paper plate crafts, something we love doing in our house! 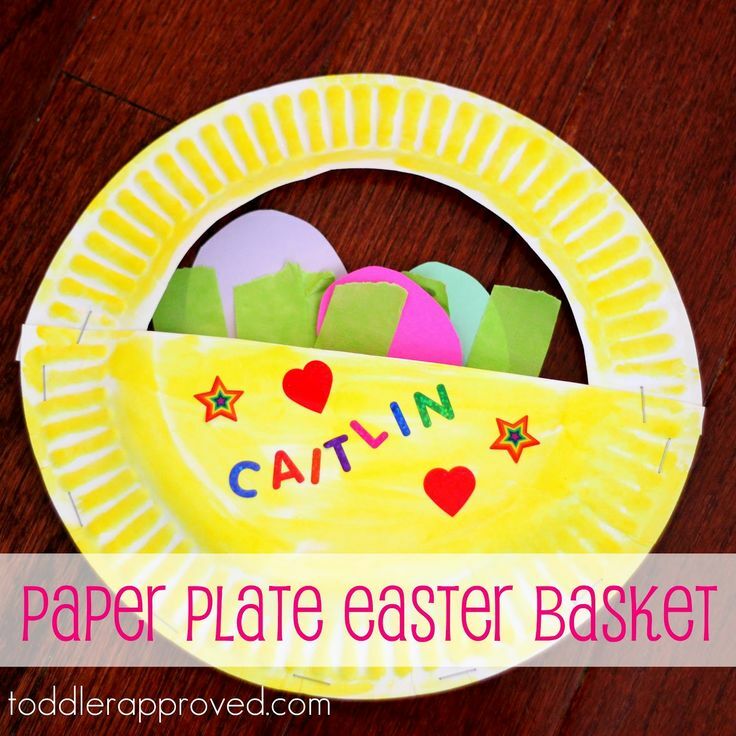 Such a cute paper plate craft Emily! Love those chickens!! What an amazing list of ideas!!! Thank you Georgina! And thank you for including me in your awesome initiative! Thanks for all the great inspiration. Have linked up some of our crafts! Thank you for linking up! The more link ups the better the resource! Wow! What a terrific collection of crafts! Fabulous collection of crafts .Thank you very much. So glad you like them Michelle! Thank you for taking the time to comment! Wow! Pinnd this one to my Preschool Play & Learn board. That fish aquarium is going on my to-do list for the upcoming preschool year. F is for Fish maybe? So glad you like this post Sinea! I really like the fish aquarium too – plus it adds in some neat sensory experiences with the gravel. Thank you so much for taking the time to comment! I have a “paper plate art handprint” my daughter did when she started school years ago. Is there a way to preserve this? It was done on one of the “chinet” style plates. Hmmm … interesting question Paulette! I would be tempted to say you could probably use decoupage over top which would harden it and preserve it for years to come, but definitely try this on a “practice” paper plate first, as it is just a guess – I haven’t tried it myself. Though I really hope it works for you!! Thank you for reading. I love the fish aquarium, ,my students going to love that!!wonderful. ..? thank you. fish aquarium n shadow clock are amazing. I love those ones too Shirish. Thank you for taking the time to comment!